At today's Apple Event, iPhoto was announced for iOS. 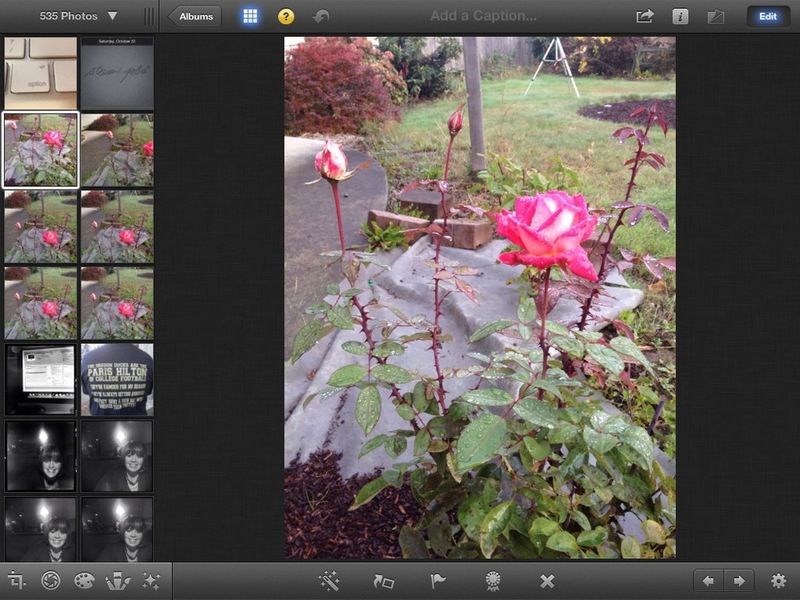 Not only is it well done, but it really changes the face of photo editing. 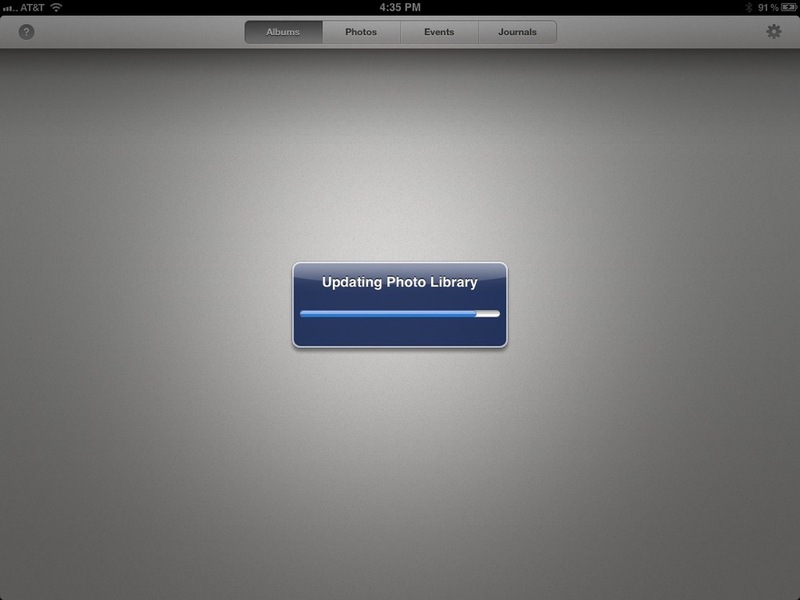 When you launch the application, you are greeted by the program indexing your photos, including your photo stream. Your options are on the tool bar along the bottom. From left to right they are: Crop, Exposure, Color, Brushes, and Effects. While many of these don't seem too game changing, the biggest place the iPad version shines is the brushes. As you can see, I used my stylus to paint the sky and clouds with the saturation brush, avoiding the rest of the picture. If you have ever tried to do this kind of masking and color correction, you know how huge this is. Imagine a real estate agent not needing to wait for a sunny day to take a picture of your house. Just dial up the blue, and make any other corrections needed so that the picture looks just like the house (we all have seen pictures where colors are off just enough to make a difference in your impressions of the subject matter). And everything, from taking the picture to the editing and uploading to the web, or emailing the photo can be done with one device. The best part though, is all of these things are possible in your iPhone now too. This really is the post-pc era, and Apple is leading the revolution!